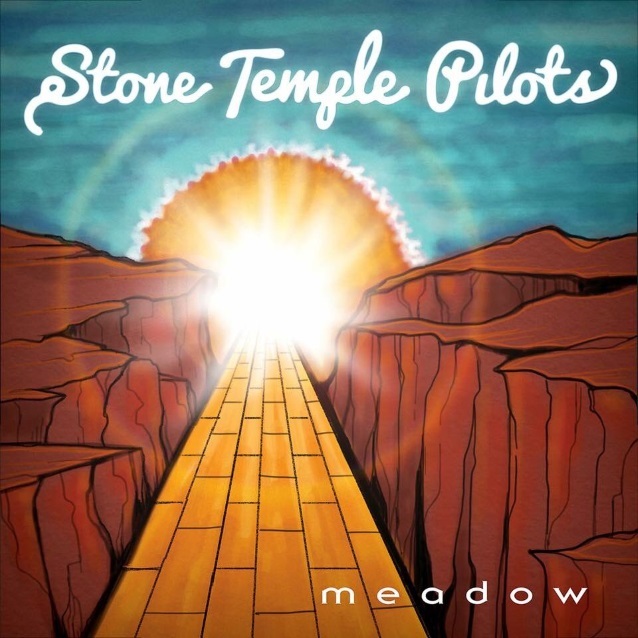 STONE TEMPLE PILOTS have released the official lyric video for their new single, "Meadow". Check it out below. 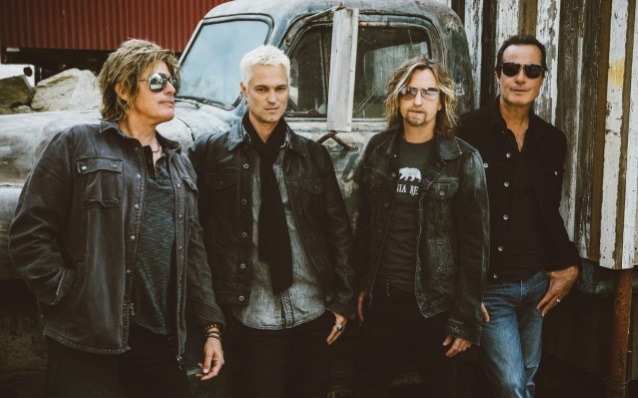 One-time "The X Factor" contestant Jeff Gutt made his live debut as STONE TEMPLE PILOTS' new vocalist during a SiriusXM special event on November 14 at the Troubadour nightclub in Los Angeles. "Meadow" was serviced to radio that same week and was performed live for the first time during the Troubadour show. Gutt, who was a runner-up in the reality TV music competition show's third season, originally auditioned for STP in September 2016 and became an official member of the band in May 2017. He has spent the last year secretly writing and recording new material with bandmembers Dean DeLeo, Robert DeLeo and Eric Kretz. Robert DeLeo said that he first found out about Gutt while he was on the road with the HOLLYWOOD VAMPIRES. Robert explained: "We were playing ... up in Detroit, which is where [Jeff is] from. And after the show, there was a musician who said, 'Hey, man, you should check this guy out.' And that's where I kind of heard of him first." Gutt recalled how he got to audition for the band, saying: "I can't remember what song it was, but a STONE TEMPLE PILOTS song came on the radio. So I called my buddy in New York who knows everybody in the music industry, and I was like, 'Hey, did they ever find a singer?' And he was like, 'You know what? I'll send 'em your stuff right now.' And three days later, I got a call." Gutt added that he felt like he had the job before even trying out, explaining: "You have to be confident . . . I know what I'm doing. I've studied my craft. I've studied [original STP singer] Scott [Weiland] and the people Scott studied, and other singers of the era. I've really put in a lot of time into that, and if you're not willing to do all of that, you're not gonna be on the level to even be around these guys." STP had been without a vocalist since November 2015, when Chester Bennington — who joined the group in early 2013 — departed to spend more time with his main band LINKIN PARK. Bennington committed suicide last July. Scott Weiland, who reunited with the group in 2010 after an eight-year hiatus but was dismissed in 2013, died in December 2015 of a drug overdose while on a solo tour.